Ummm, excuse us while we fangirl for a moment. Or forever. We're excited to bring you our first ever Artist Spotlight! 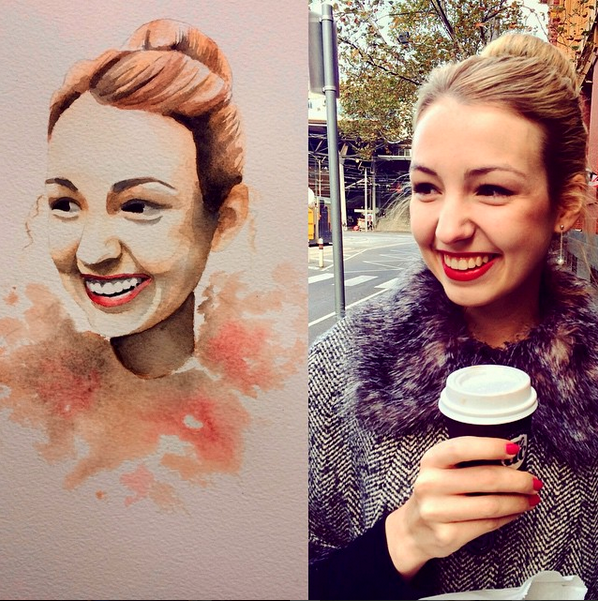 Meet Emily Ingham, a 19-year-old artist from Australia! She is addicted to vintage dresses, pastries and red lipstick. She also loves Vogue and Audrey Hepburn. 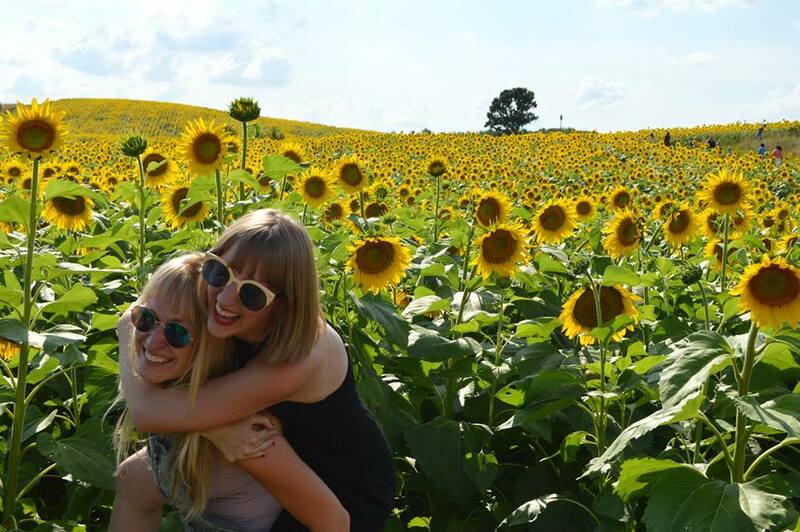 Emily, we'd love to be best friends with you, please. Emily painted the picture of us (above) and we are can't-eat, can't-sleep, reach-for-the-stars, over-the-fence, world-series-kind-of-stuff in love with it (10 points to your Hogwarts house if you know what that quote is from). So, let's get to know Emily a little more! D&O: What medium(s) do you work in for your art? 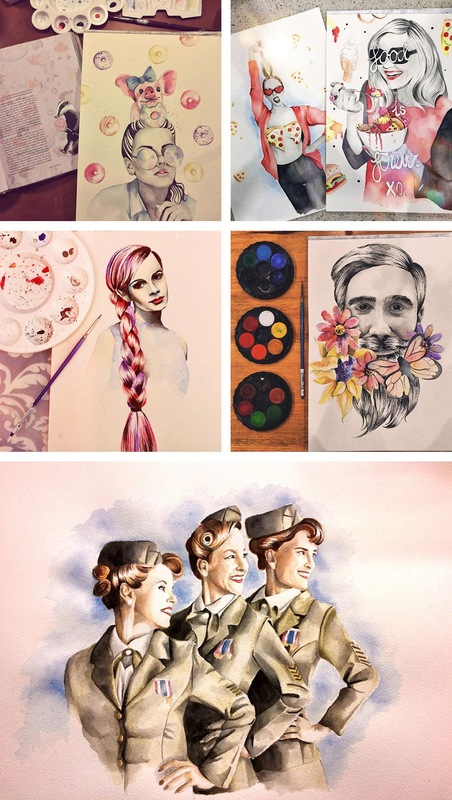 Emily: I mostly work with watercolour, but love the occasional lead pencil or acrylic piece. D&O: Where do you get inspiration? Emily: From everywhere! I love quirky images the most! D&O: When did you start doing art? D&O: Any tips for aspiring artists? Emily: Keep practicing! I paint an image a day and have found that I just keep improving over time. Anyone else swoon over Emily's spelling of "watercolour" and use of "Mum"? One word to describe you: Passionate. Favorite movie: I have so many! I'm a bit obsessed with Big Eyes at the moment, though! Favorite snack: Salted caramel macarons. Yum! Favorite movie snack: Popcorn and maltesers ... my weakness. Sometimes even with ice cream. Hehe. Hobbies (outside of art): Dancing and singing. Celebrity crush: I have too many to choose! But the main would be Ian Somerhalder. We don't know what maltesers are, but they sound wonderful. And Ian Somerhalder ... don't even get us started on those eyes. We love Emily's use of color and shading. Also, everything is so realistic, but with a funky edge to it. Definitely one of our favorite aesthetic styles. Click here to follow her on Instagram! Click here to like her on Facebook! If you're interested in being featured as a part of Artist Spotlight, send us an email at theduckandtheowl@gmail.com.